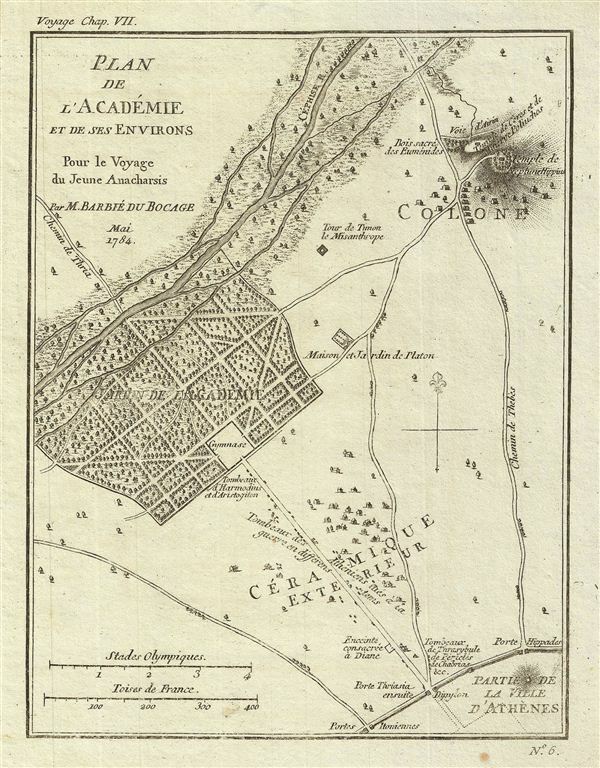 Plan de l'Academie et de ses Environs Pour le Voyage du Jeune Anacharsis. This is a fascinating 1784 plan of Plato's Academy in Athens, ancient Greece. The map covers the vicinity of the Platonic seat of learning in ancient Athens. Founded by the philosopher Plato, the Academy nurtured the genius of Aristotle, among others. Prepared by M. Barbie de Bocage in 1784 to illustrate the Travels of Anacharsis.